GREENVILLE COUNTY, SC (WSPA) - The Greenville County Sheriff's Office arrested a man on several charges related to criminal sexual conduct of a vulnerable adult. According to a sheriff's office news release, investigators began an investigation March 14 after receiving a report about a vulnerable adult who had been sexually victimized by Darren Thomas Wesley. Wesley is a former officer with Bob Jones Police Department. 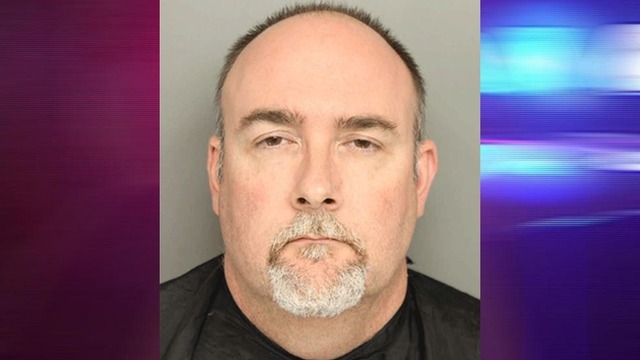 An investigation revealed that Wesley had committed several criminal sexual offenses over a period of three years against the victim, who was entrusted in his care. According to the affidavit, the victim is "of a defective mind" and was unable to give consent. According to the release, the incidents did not happen on Bob Jones University's campus and investigators said they have not received any information that any students or faculty were involved in the incident. Wesley was arrested on Tuesday night and charged with three counts of criminal sexual conduct, first-degree assault and battery, abuse to a vulnerable adult and neglect of a vulnerable adult. He was taken to the Greenville County Detention Center, where he is awaiting a bond hearing.